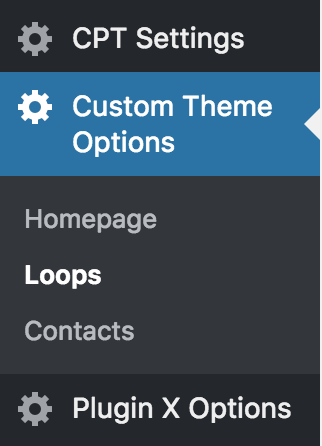 Often it is needed to add custom options page (or multiple pages) if a theme has been customized to allow client easily control website's behavior or layout. 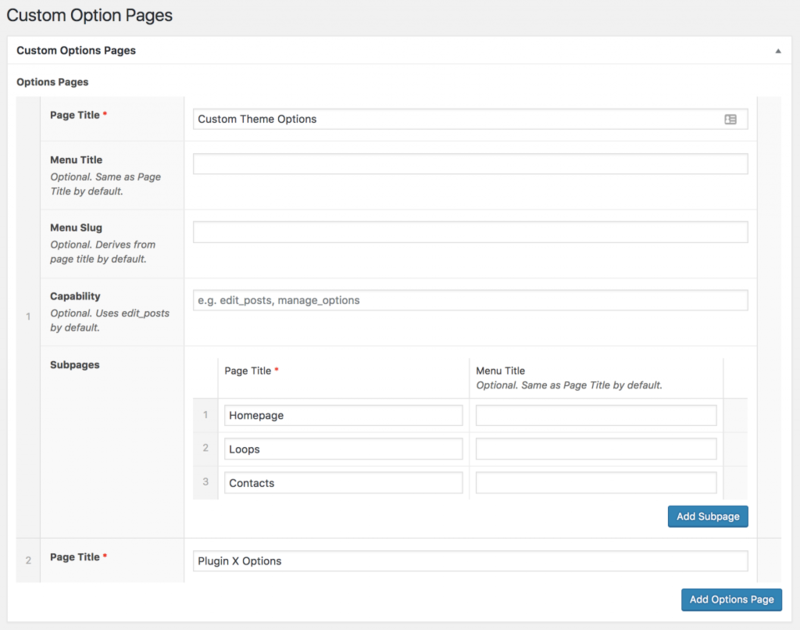 Custom Options Pages registration is very easy with Custom Page Templates plugin, which allows you registering them right from WP Admin. 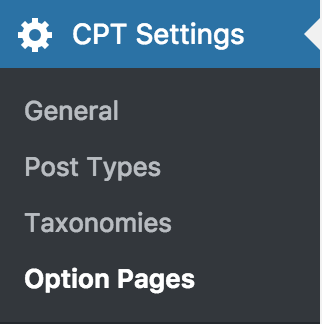 Under CPT Settings find menu item "Option Pages"
On Custom Option Pages you'll see a repeater field which allows you adding as menu options and sub-options pages as you want with all fields needed for registration. After saving changes, new option pages will appear under menu in WP Admin. 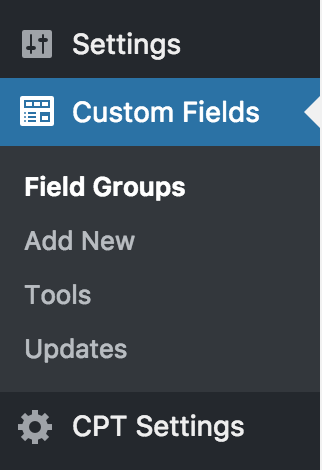 Then you can easily add custom fields to your option pages with ACF PRO, which is shipped with Custom Page Templates plugin. You'll need to pick your custom option page under Location settings.